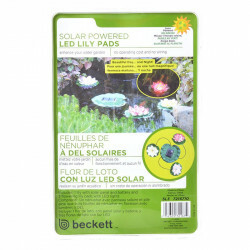 Ponds add life add beauty to any environment. The only problem is, you can only see them during the day. 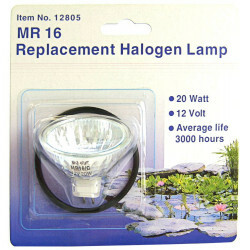 Enhancing your pond with a quality lighting system not only highlights all the hard work you've put into your pond, but it allows you to enjoy its serenity and beauty at any hour of the day or night. 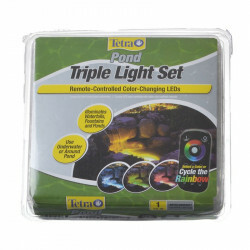 Pet Mountain's Pond Lighting store features quality, easy to install lights from the leading brands in the pond industry, including Tetra Pond, Pondmaster, Danner, Laguna and Beckett. 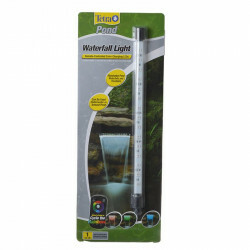 Whether you're looking to light a fountain, highlight your fish or simply illuminate your pond plants and water with colored lights or classic white, we have the lighting system you need. 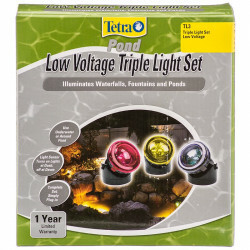 The Tetra Pond Low Voltage Triple Light Set creates a charming pond or water garden feature for your front yard or backyard, with a sensor that automatically turns on at dusk and shuts off at dawn. 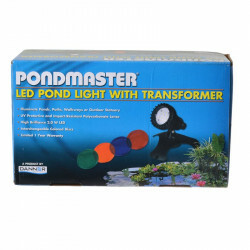 The Pondmaster Submersible halogen Light Set includes is a low voltage light set that includes a transformer and four interchangeable colored lenses. 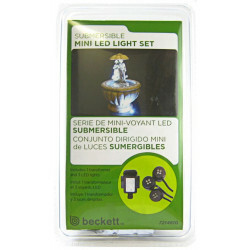 For smaller ponds and water features, the Beckett Submersible Mini LED Light Set provides long lasting, clear light to provide true illumination in any space.